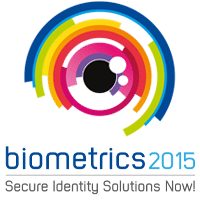 Home » Events » Biometrics 2015: Secure Identity Solutions Now! Biometrics 2015: Secure Identity Solutions Now! “Biometrics 2015 will provide a highly interactive forum for discussion and debate on the current and future use of biometric technology for managing identity and increasing efficiency within government and commercial applications,” the organiser tells NFC World. The comprehensive three-day programme, compiled by the Biometrics Institute, brings together more than 75 exceptional speakers to share insight, stimulate innovative thinking and provide practical solutions for identity management. The co-located BiometricsLive exhibition is host to the leading providers of biometrics technology and services and is free to attend. A series of free seminars will also provide a useful introduction to those new to biometrics.